A lot of you have been following this adoption story, and we’re excited to share the next steps of this journey with you. Some of you may recall that back in early December, we sent out our plea for help with the adoption expenses. This was due to the fact that our boys’ biological sister unexpectedly came to be in need of adoption; while the Lord opened our hearts to this fully, finances seemed impossible, since we’d just gone through the hefty cost of two adoption only one year ago. However, we are joyfully pleased to announce that ALL the necessary funds for the adoption were raised! Amazingly, the sum of over $8000 came in within THREE weeks; it was truly our Christmas miracle. Of the dozens of fund raisers we’ve been part of over the years, we’ve never seen a goal met so quickly. We experienced everything from donators who were skipping Christmas presents and giving the money towards the adoption, to people we’d never met hearing about our story and PayPal-ing us money. Acquaintances, old friends, total strangers, all showing the utmost in generosity! This touched and blessed our hearts immeasurably, and was yet another solid confirmation that God has led us down this road. 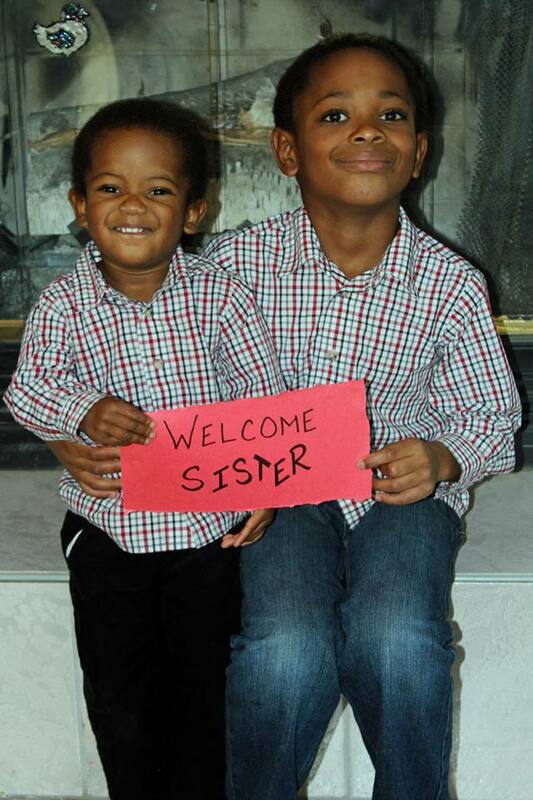 Better still is the benefit to our boys’ sister, because we are now able to progress quickly with the adoption process. January 31 is the date set for the court to assign our guardian ad litem. The guardian ad litem is then able to complete our Dominican home study (which we are also able to pay for)! When she submits her report to the court, the judge will set a date for the final, official adoption hearing! I guess, in the interest of full disclosure, we should clarify that WE didn’t actually do the mailings. We had to rely on family, because, well, you know us: always down to the line on everything. With our need to get back to Dominica for Jacelyn’s rotation, there was only so much we could accomplish. Thanks, mom and dad!